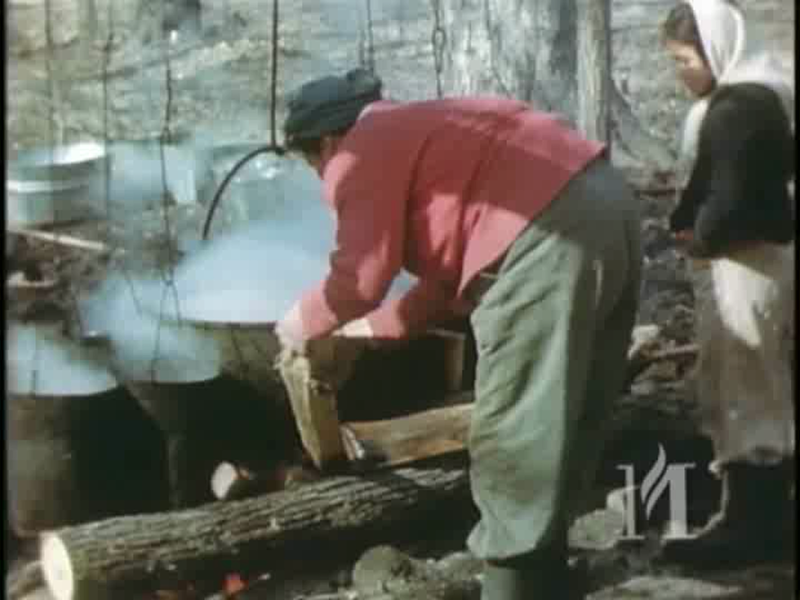 We used to go way out in the wilderness to make maple sugar. Mii 'i gii-gopiiwaad igiweg waa-o-iskigamizigewaad. The people went into the woods to go boil sap. We're getting ready to boil sap. That's where he had his sugar camp -- in the wilderness.